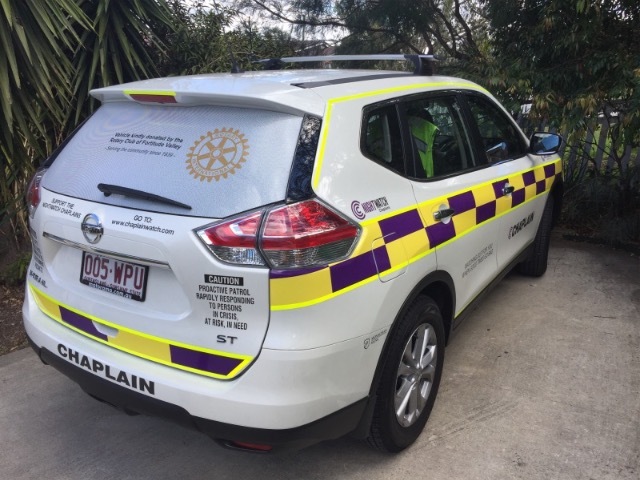 The Rotary Club of Fortitude Valley generously donated the funds to purchase an additional vehicle for the NightWatch Chaplains service. 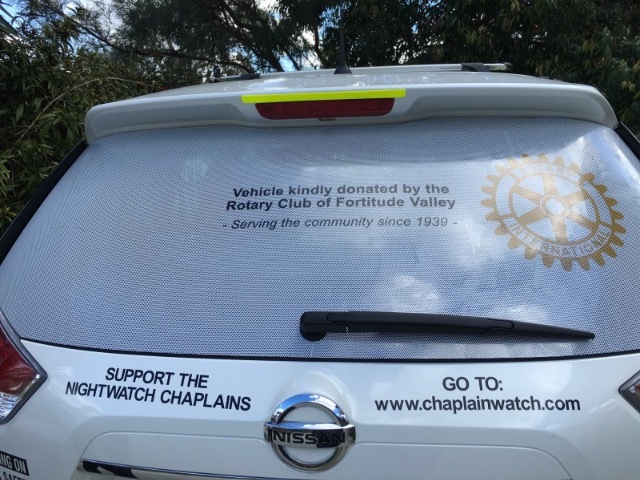 We received this with humbled thanks. 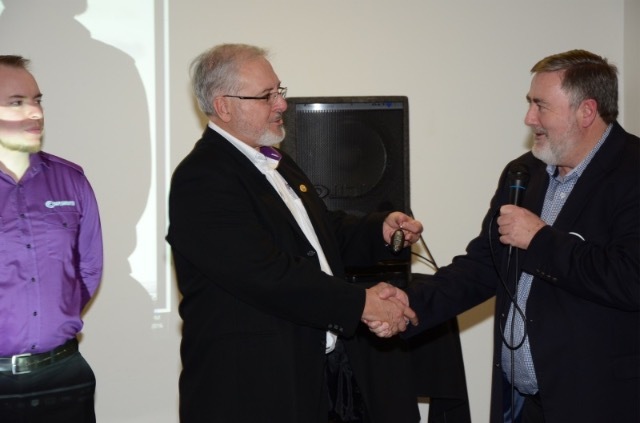 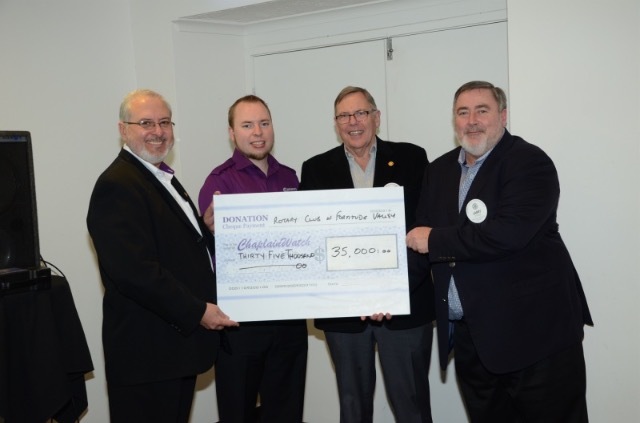 Rotary Club of Fortitude Valley members Larry O’Toole and Michael Bailey present a cheque for $35,000 donated to ChaplainWatch to purchase a vehicle, while Larry O’Tool officially hands over the keys to Senior Chaplain Lance Mergard for the new Nissan XTrail.